Hope Mills, NC New Baby Signs! We proudly deliver newborn stork signs and birthday yard signs to Hope Mills, Fayetteville, SpringLake, Cameron, Pinehurst, Sanford, Apex, Pittsboro, Holly Springs and nearby towns! 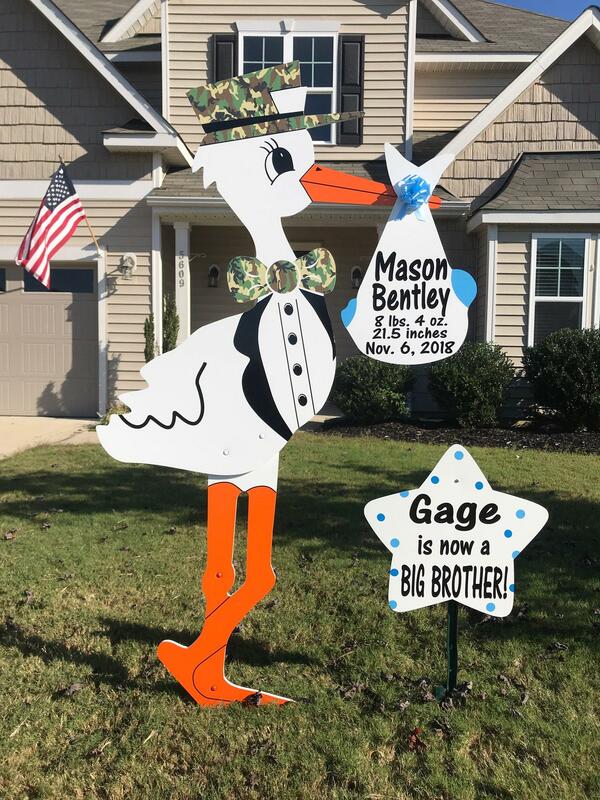 Call us at 910-723-4784 and let us help you announce a new baby with a yard stork sign or celebrate a birthday with a birthday lawn sign! Visit us on FB, IG, and Pinterest!